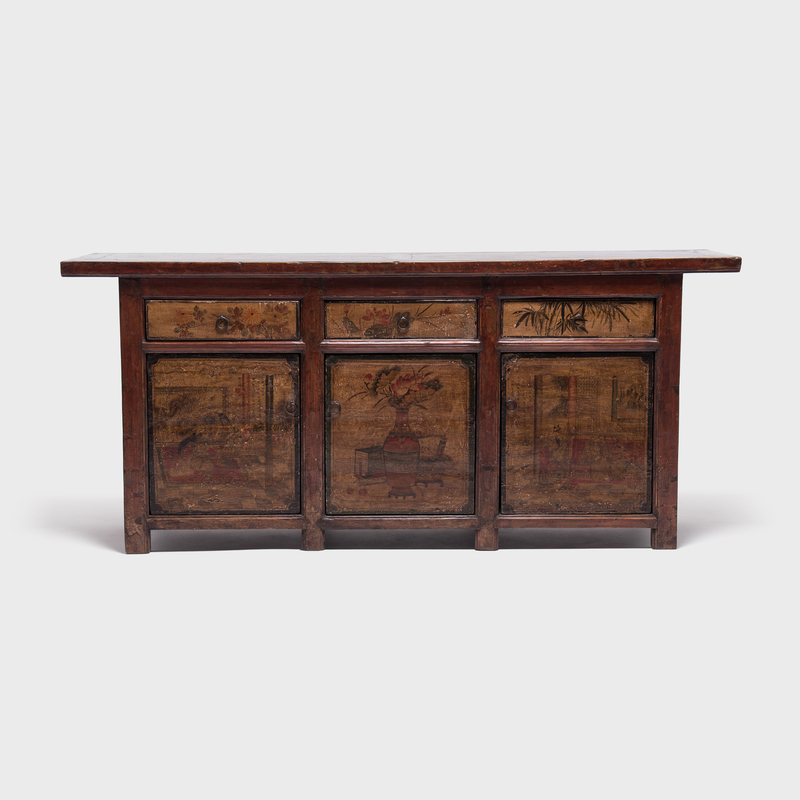 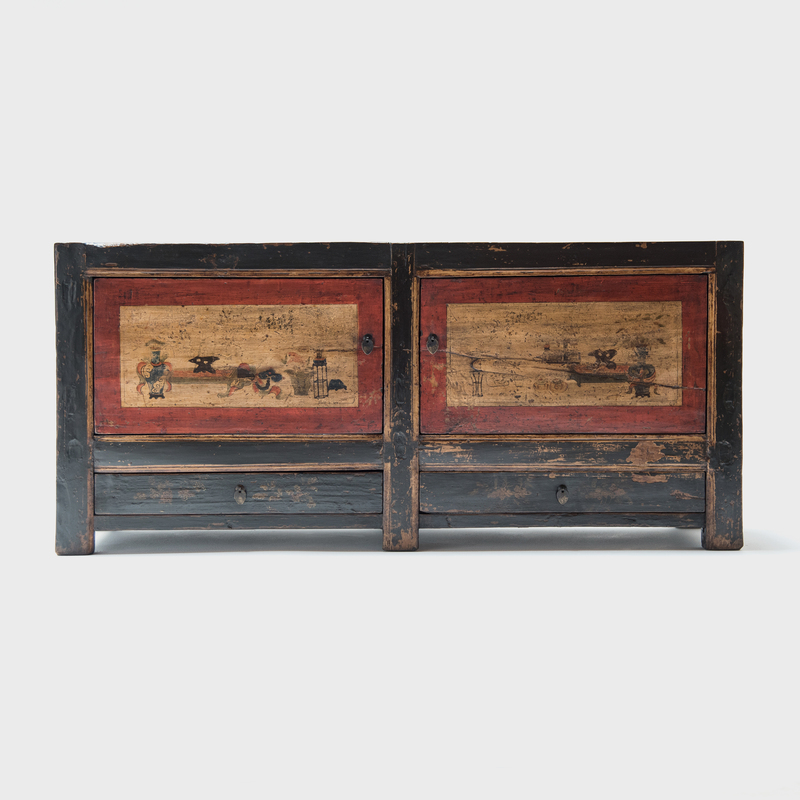 W: 65.75" D: 21.5" H: 36.5"
Crafted by an artisan in China's Shanxi province, this spirited 19th-century coffer would have been kept in the home as a blessing of luck and good fortune. 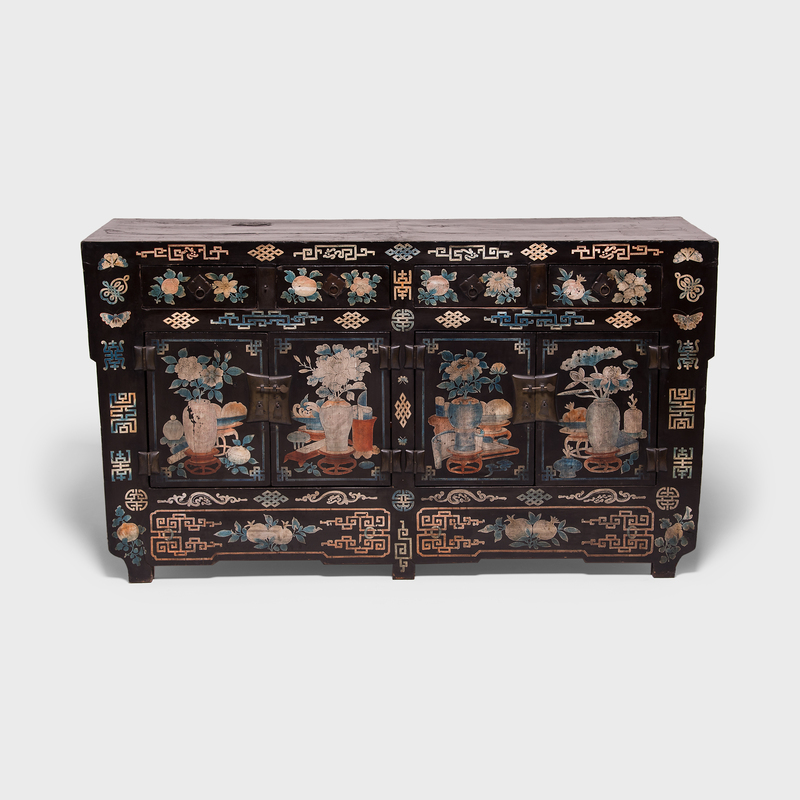 The beautifully maintained and ornate folk paintings covering the cabinet depict all things auspicious in China: peaches, pomegranates, chrysanthemums, lotus, peonies, butterflies, Shou characters, Fu characters, crooked dragons, and endless knots. 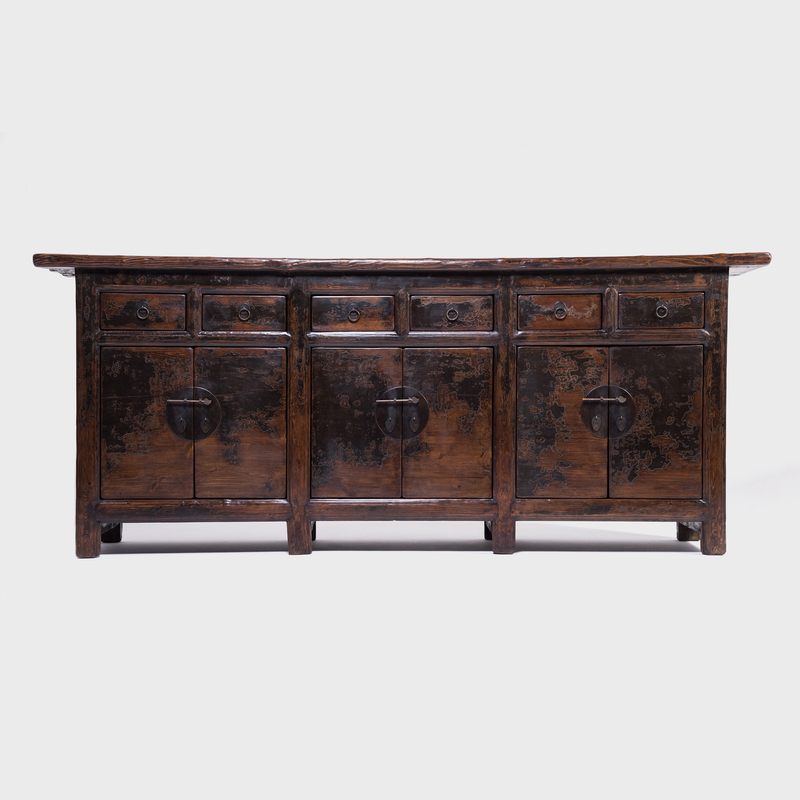 The piece has four doors and four drawers, all complete with the original brass hardware. 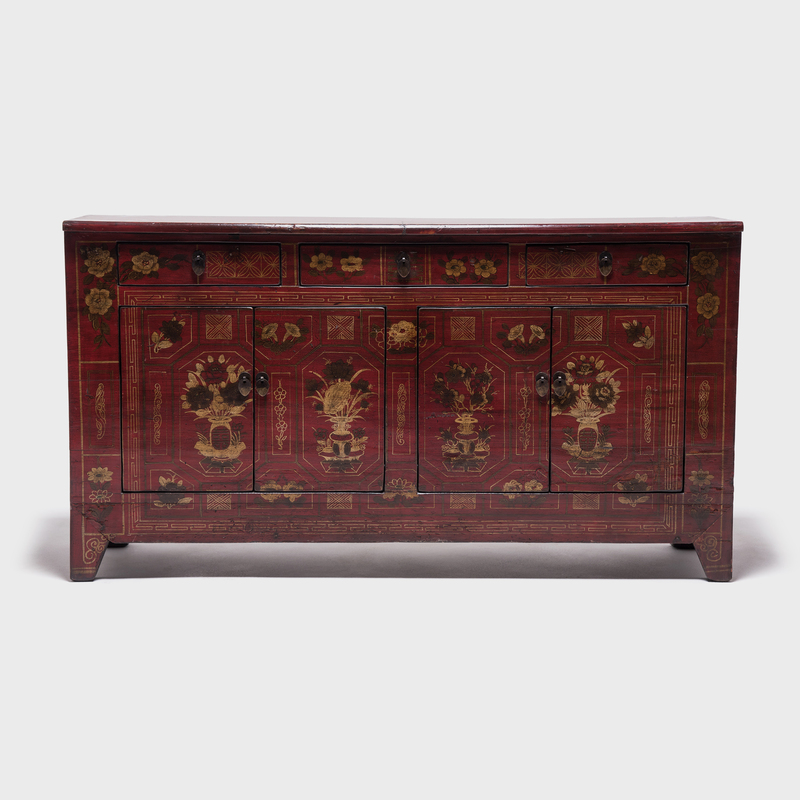 Careful conservation has maintained the paint's incredible vibrancy throughout a century of use.